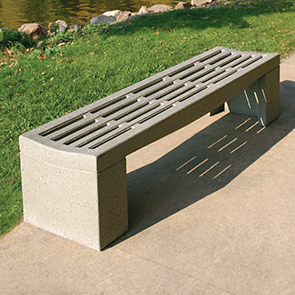 With a comfortable bowed seat design, these 6' backless concrete benches are ready to be the seating solution for just about any high volume public environment. Concrete is a naturally durable and long lasting material — while the sheer weight ensures vandals will pay no attention. Formed in slat shaped perforations in the bench seat prevent the pooling of water, providing a dry seating for every season.